Jack Debreczeni’s second Super Rugby stint at the Melbourne Rebels ended last season when he couldn’t hold onto the five-eighth jersey – with Reece Hodge preferred – and at the age of just 25 his future in Australian rugby looked bleak. 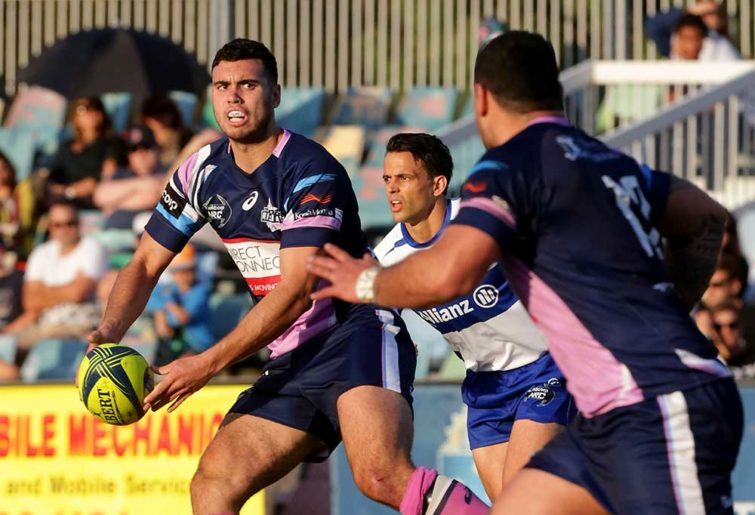 With Quade Cooper Melbourne-bound and no deal done with any other Australian team, Auckland-born Debreczeni signed a two-year contract with Northland to play in the Mitre 10 Cup in New Zealand. He impressed enough to earn a Super Rugby gig with the Chiefs for this season, and will tonight start at No.10 in their pre-season trial against the Queensland Reds at Ballymore. Damien McKenzie is the Chiefs’ main man at five-eighth, but given his versatility – as well as Debreczeni’s classy touches for Northland last season that led to Chiefs coach Colin Cooper offering him a contract – it’s not out of the question that the Rebels reject could get more than a few starts at No.10. Due to the NZRU policy in which All Blacks in a World Cup year are rested for at least two games, the door will certainly be open at some stage. Given the power of Steve Hansen in a World Cup year, the All Blacks coach may even want to see McKenzie spending a bit of time at fullback as well. It will be particularly intriguing for Aussie rugby fans to monitor Debreczeni if he does get a decent chunk of game time for the Chiefs as his development was stifled in Australia. A tall, gifted goal-kicking playmaker with Wallabies potential not many years ago, he hasn’t pushed on. And of course that happens to many players, and the reasons for their progression stagnating, falling or not moving forward fast enough are varied. There are many factors that go into making a high-performing rugby professional. Sports science is highly influential and that knowledge usually spreads quickly, but thankfully there’s still no cookie cutter for producing a top-line rugby player. However, it’s worth noting that Sydney-born Michael Alaalatoa wasn’t picked up by any Australian teams and the young prop has been a strong performer for the Crusaders for three seasons. And only last season after two solid years at the Waratahs and admittedly after quite a few injuries to fellow New Zealand props, Angus Ta’avao made his All Blacks debut at the age of 28. Debreczeni was on the so-called pathways program. A stand-out at Trinity Grammar in Sydney, the No.10 was picked for the Australian Schoolboys in 2011. His silky skills were identified early and after a strong 15-game season at the Rebels in 2015, he was hailed as a future Wallabies five-eighth. However after an underwhelming 2017 in Melbourne and perhaps because of the axe hanging over the Rebels, Debreczeni headed for the Japanese Top league with the Honda Heat. His Rebels return last season started brightly enough but petered out, and he moved on. There’s been a sharp focus on Australia’s coaches recently, most notably Steve Hansen’s “Mickey Mouse coaching the Wallabies” crack at Michael Cheika, Stephen Larkham’s sacking as Wallabies assistant coach and Brad Thorn’s firm no-excuses approach at the Reds. And it would be folly to think that Kiwi coaches alone can fix Australian rugby. Daryl Gibson’s record at the Waratahs is underwhelming. Thorn should be judged after a few more years in Brisbane. Robbie Deans was sacked with a 58.1 per cent winning record as Wallabies coach (although that would be cherished at the moment). Perhaps it was just being immersed in New Zealand’s provincial rugby system that sparked Debreczeni in what he called “the most competitive environment for rugby players in the world”. Maybe Debreczeni thrived in the NPC simply because he was behind a formidable Northland pack, and you’d expect most talented five-eighths to flourish that way. If he gets some good minutes at the Chiefs, he’ll likely be on the front foot given their strong forwards led by Brodie Retallick, Sam Cane and Nathan Harris. If Debreczeni does stay on an upward trajectory in New Zealand, it will be a solid slap in the face for Australian rugby. In recent years, the system has failed to get the best out of Will Skelton and Taqele Naiyaravoro, while Sean McMahon and Nic White are two examples of others that got away early. However, in this case, Debreczeni wasn’t chasing the big bucks in Europe or Japan. The development of Debreczeni – the Rebels reject – will be intriguing to watch this Super Rugby season.